El Nino has hit LA hard and it has been pouring buckets of rain for the last 2 days. Time to bundle up big time. 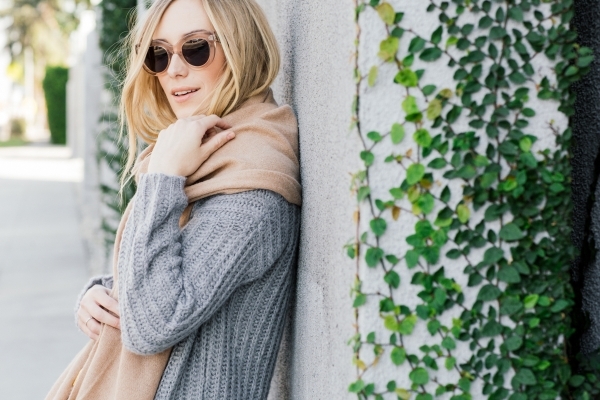 This look is from a sunnier rain-free day. 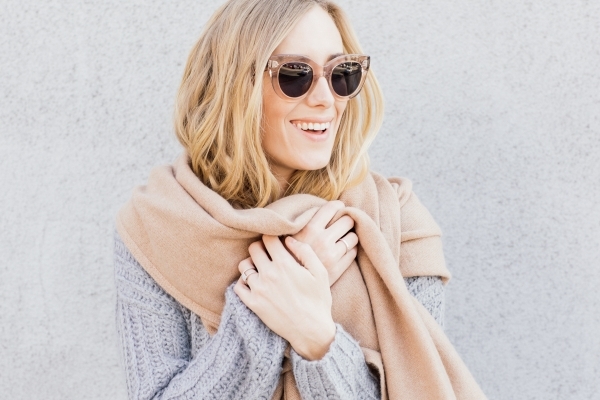 This sweater is softer than words and this scarf is equal parts soft and cozy. 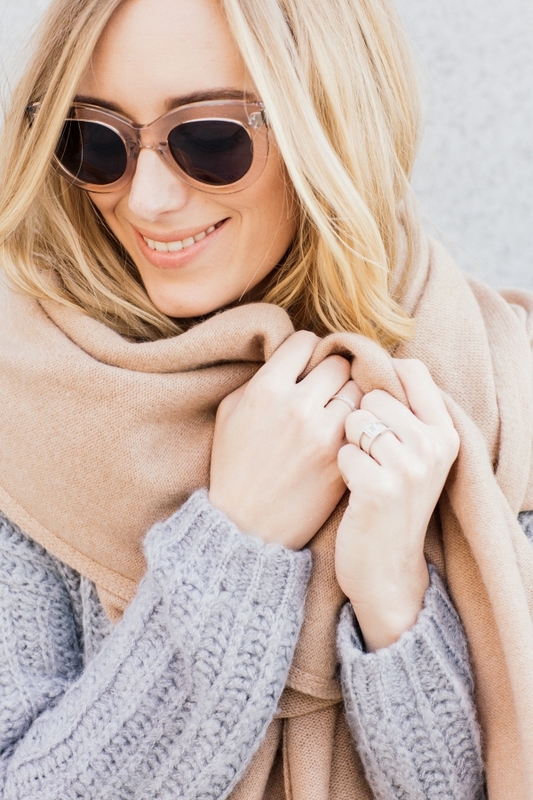 I tend to be picky about my winter knits because my skin is so sensitive but these 2 are both winners. For the rest of my day, I will be hiding in my house listening to the rain drops. 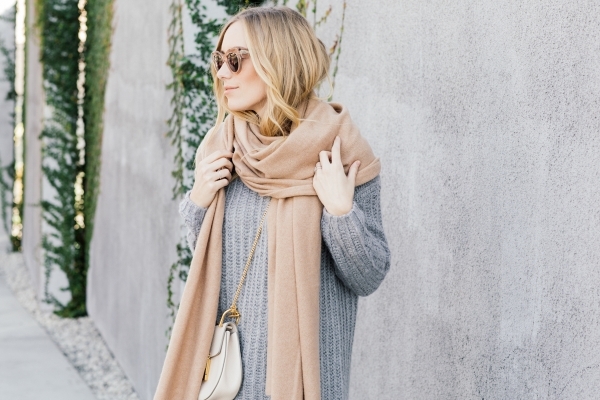 Helen - I love the neutral color palette of this outfit, and that sweater and scarf look so cozy! Joules - Love those sunglasses and the big chunky knit! Sasha - Great color combo! 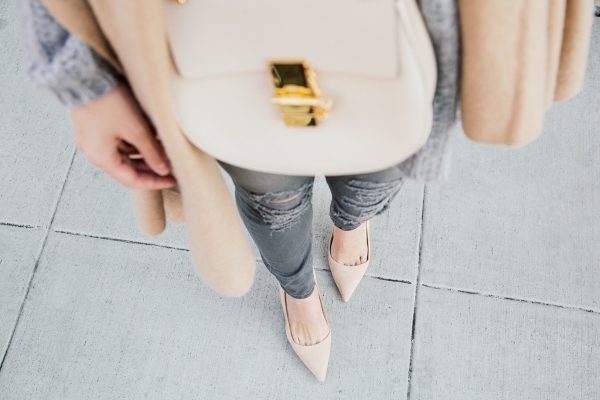 Natali - Love the way how you’ve mixed greys with nudes! 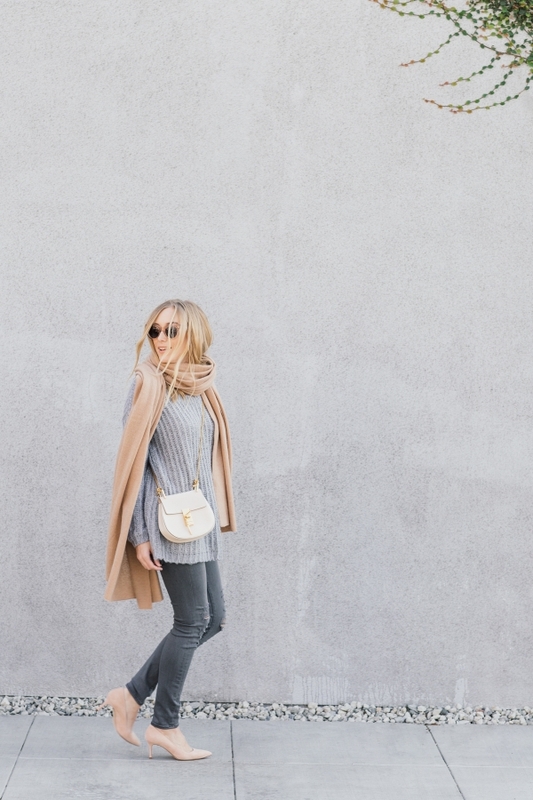 Fantastic casual outfit! Lovey - Beautiful neutrals and I love that touch of vine! Ashlee - My kind of outfit! 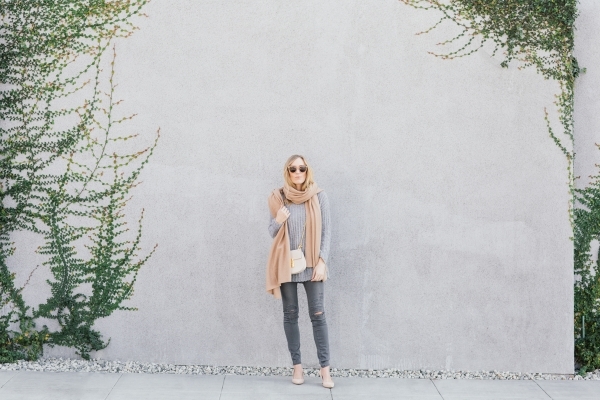 In a Trendy Town - We love your photos and the outfit is perfect for daily with grey and beige, happy new year!!! Taylor Winkelmeyer - Really love this look! The greys with nudes is just beautiful. This sweater looks just perfect. Krisztina Williams - Love this look! The grey looks so great with those accessories. Love the distressing on the jeans too. Beautiful pics! Monika - Love this bag! 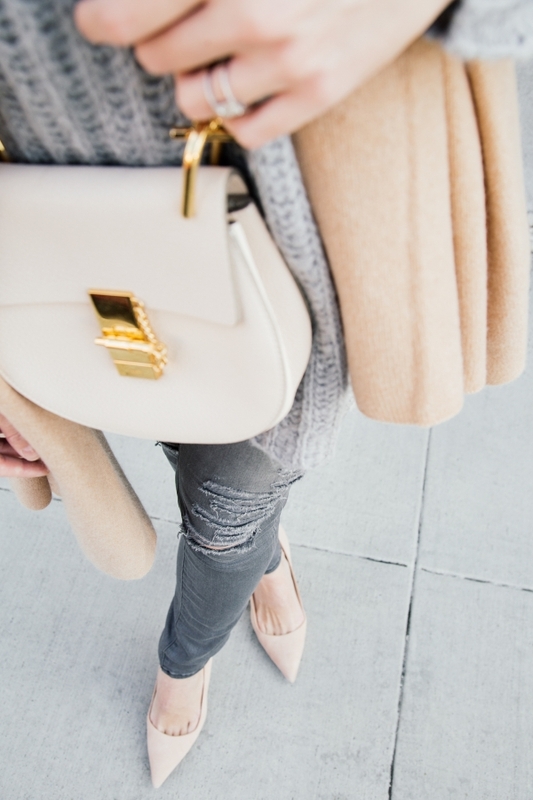 Sarah - Neutral color combos always look extra sophisticated! Maggie - Kim, this color palette looks SO good on you! Beautiful! LoveCompassionateLee - This look is delicate & feminine– I love it. 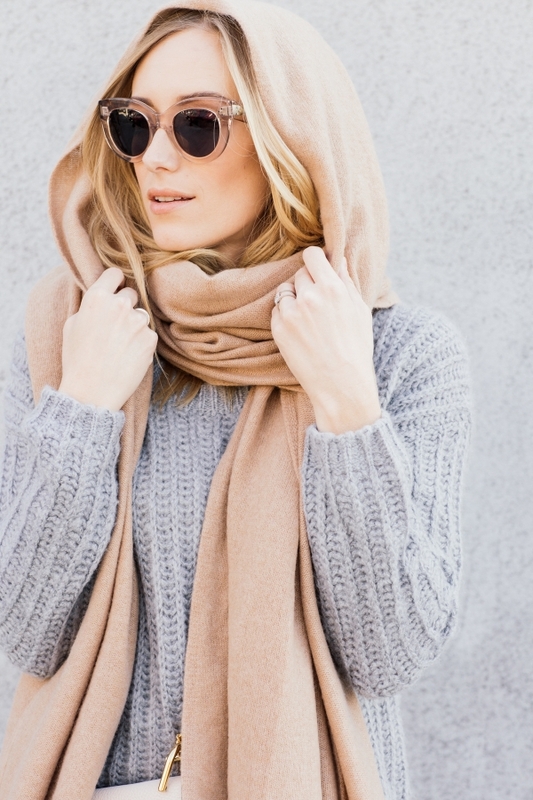 I would wear the intermix cashmere scarf all the time.